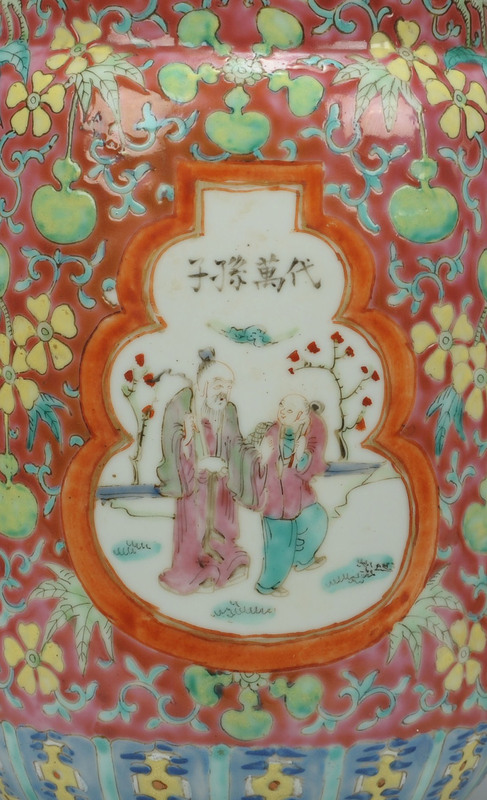 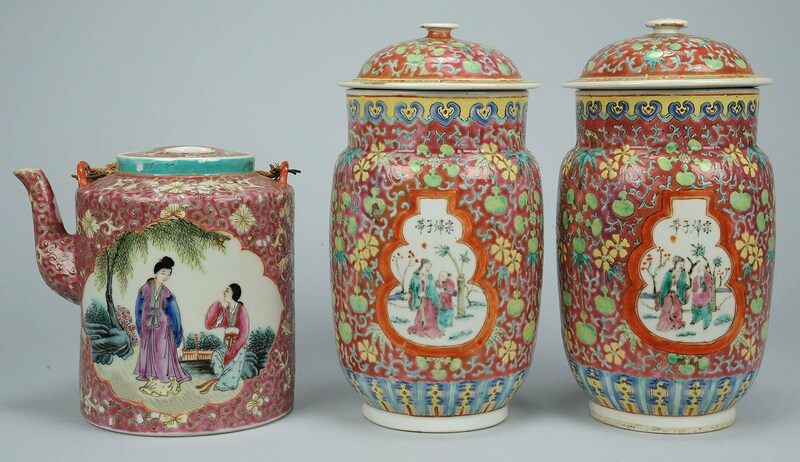 Three Chinese Famille Rose porcelain items. 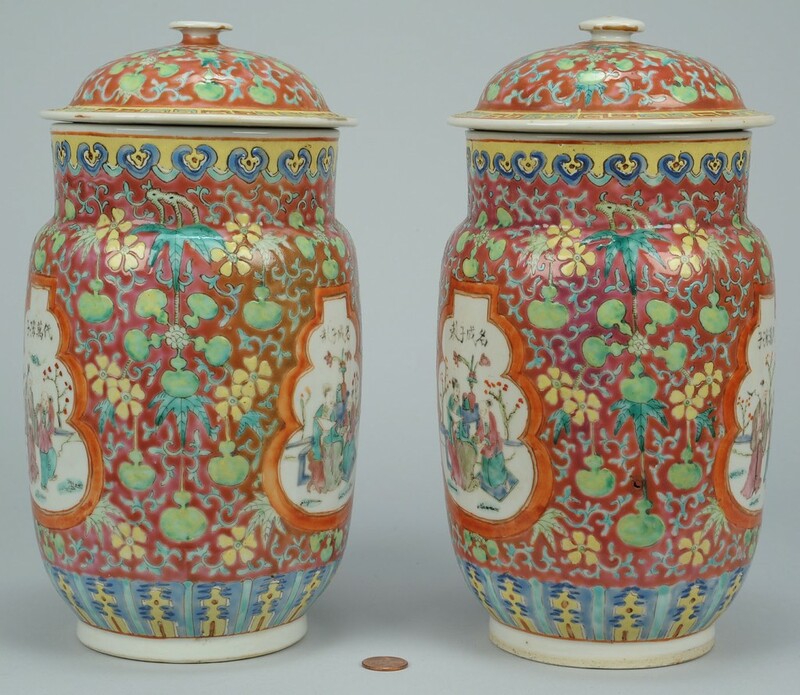 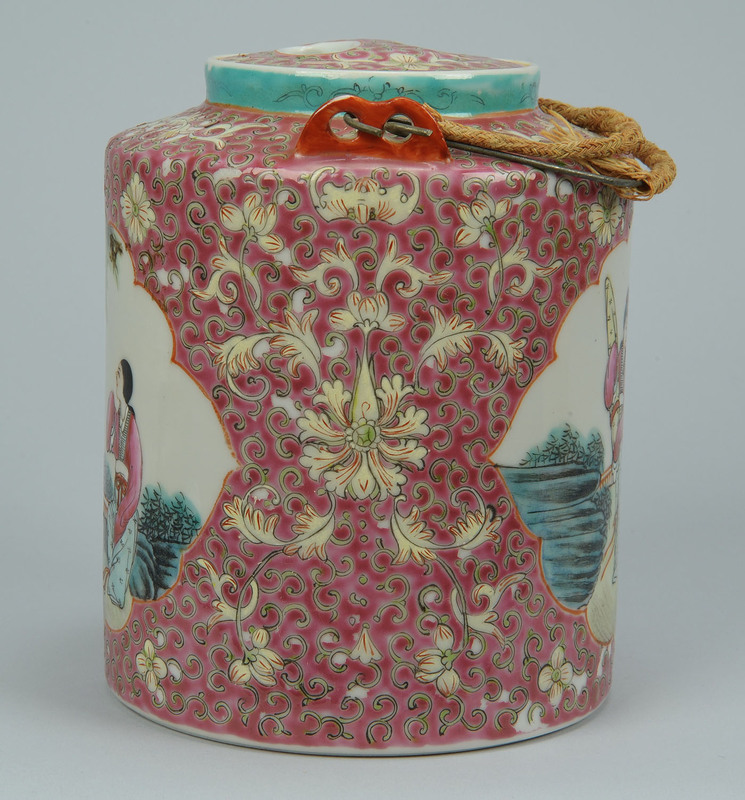 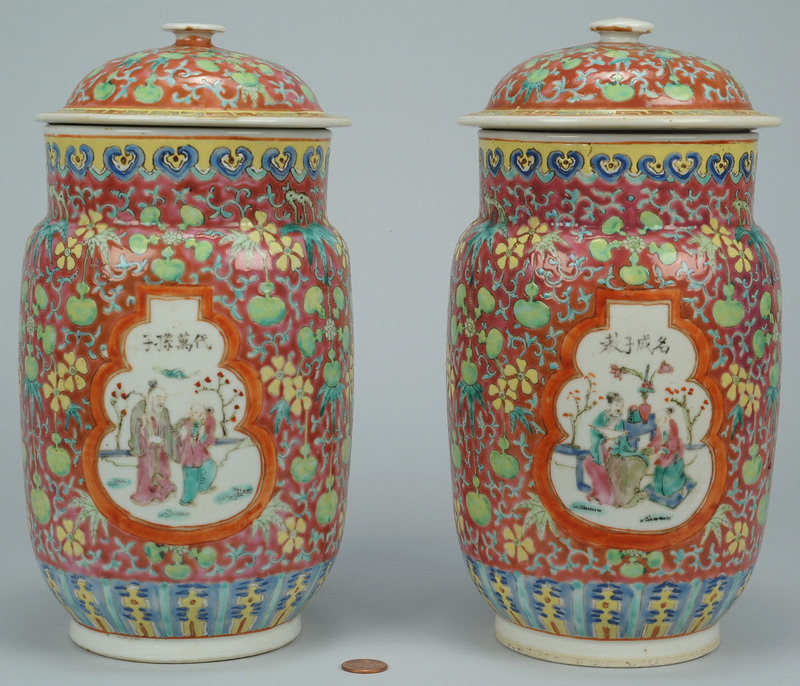 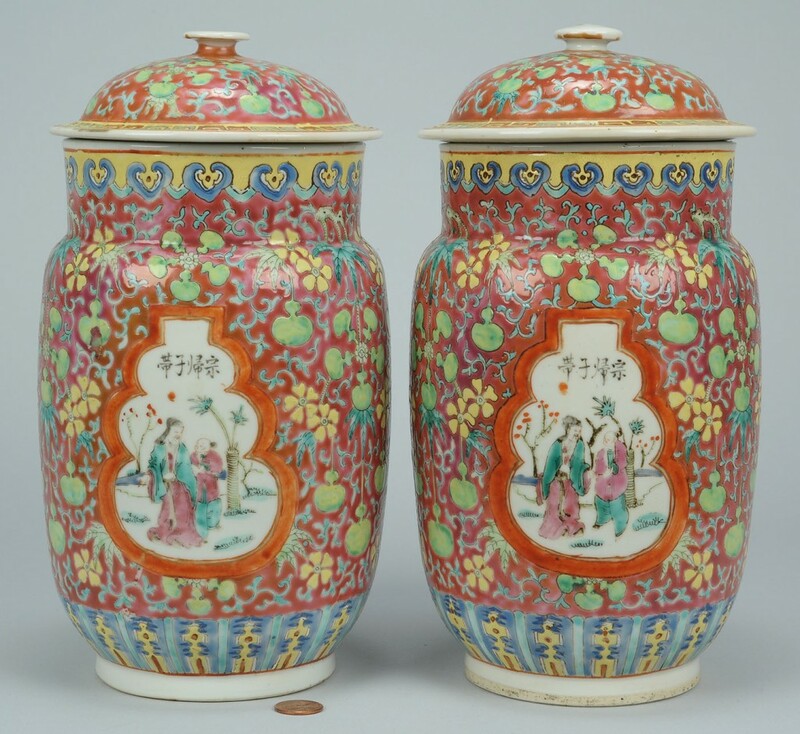 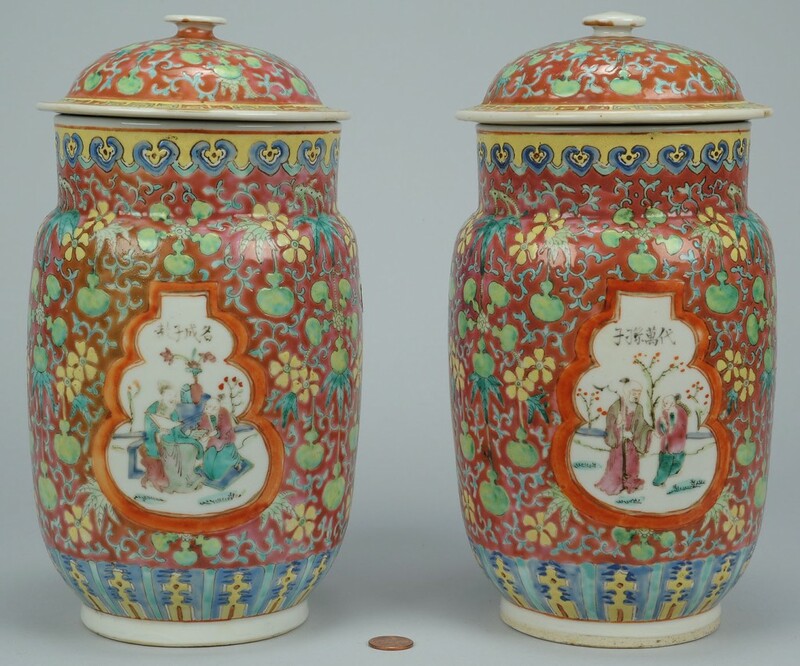 1st item – Pair Famille Rose porcelain covered jars with landscape and figural vignettes on rose ground. 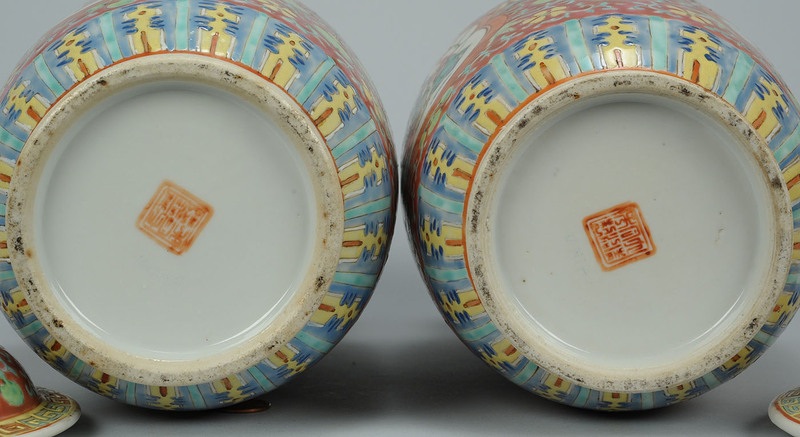 Red seal mark to underside. 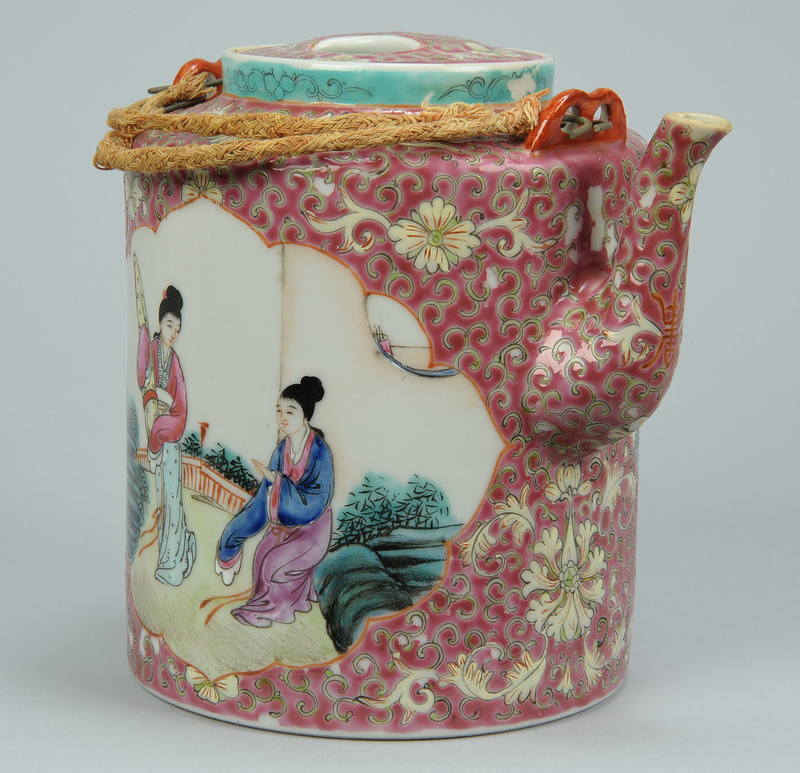 10 1/4" H. 2nd item – Famille Rose porcelain tea pot with landscape and figural vignettes and wrapped wire handle on rose ground. 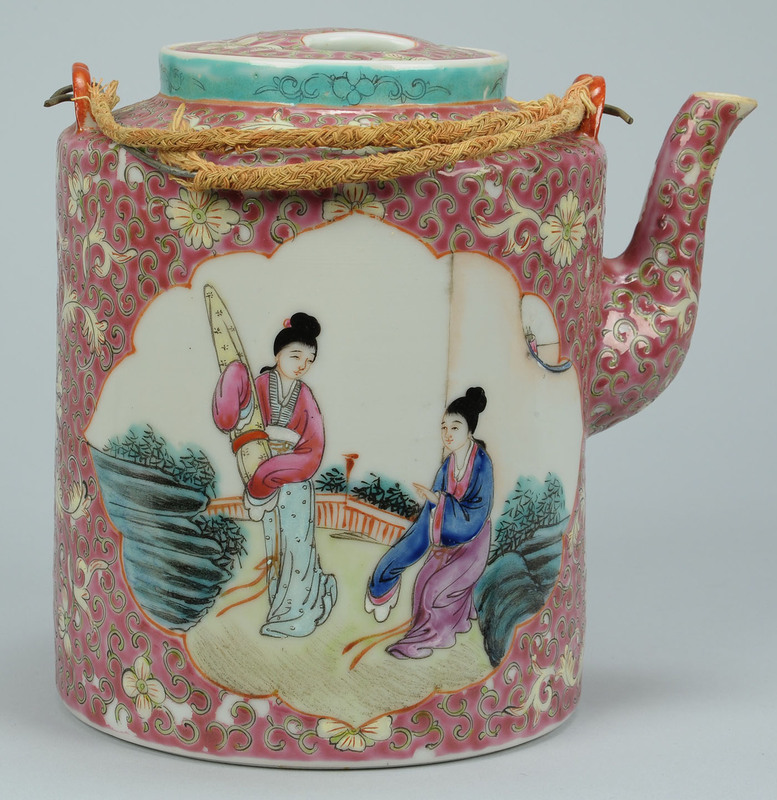 7" H. Late 19th/Early 20th century. 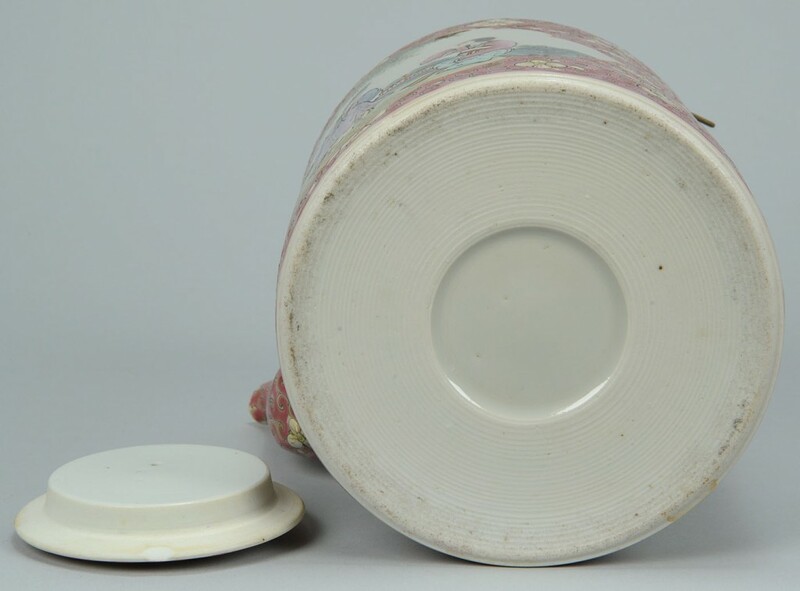 Condition: 1st item – One jar lid with chip glued to edge, minor roughness on edges in a couple of places. 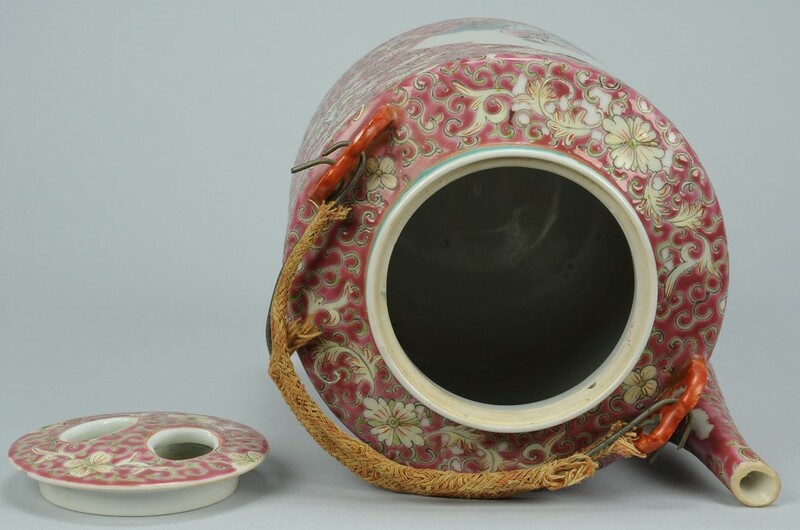 2nd item – Losses to wrapping on wire handle. 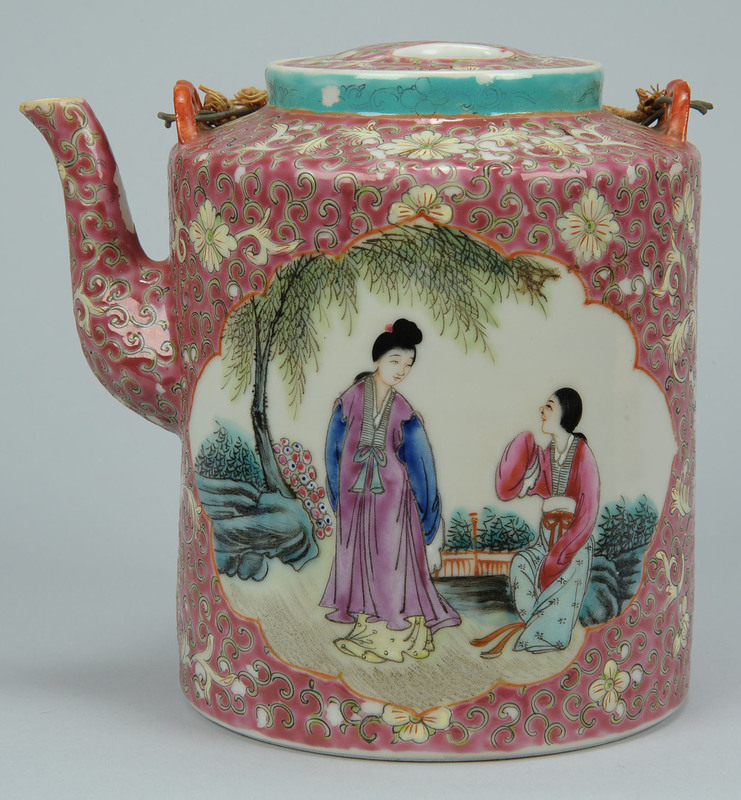 Losses to enamel glaze on teapot.